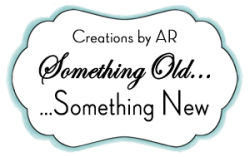 Welcome to Something Old...Something New, where each Wednesday, the Creations by AR DT members are taking an older template and giving it a new look! This week it's my turn to share a project. The first template of Adela's I ever used was the Haute Tote, so I thought it would be the perfect template for me to share for Something Old...Something New. Adela's templates are available for use with Cutting Machines and also as PDF's for those who do not yet own machines. When I first started using the templates I cut them by hand, thankfully I'm now the proud owner of a Silhouette, which makes cutting these projects a breeze! I reduced the pattern by 50%, so that I could cut the pieces from Authentique's 6" x 6 " Blissful paper collection. I also thought the smaller size would be perfect to hold a gift card! 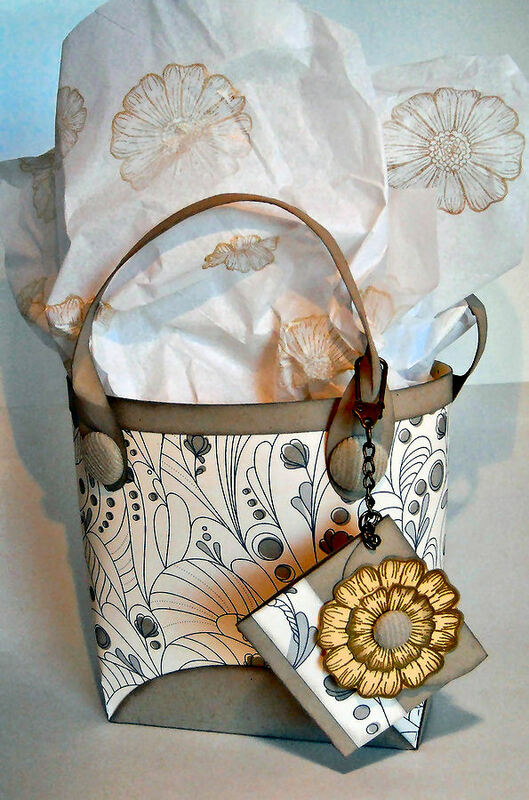 The Something New on the Haute Tote, is the flower. The flower is part of the Tissue Pot Template, keep reading below to find out how you can save $1 on the purchase of the Tissue Pot Template. Using the Silhouette Software, I removed the cut out that was in the center, and reduced the size of the flower to fit on the Tote. I cut 3 different sized flowers, then snipped slightly along the petal so that I could scrunch and add dimension to the flower. For more inspiration using Adela's templates be sure to visit the Something Old...Something New Gallery. Use promo code tissue to save $1 on the purchase of the Tissue Pot template at Creations by AR. Valid April 3-10, 2013. Love the colors the big pop of the yellow flower and the design! Gorgeous! I love all the purses you have made with this template! Ohhhh, love these colors! How beautiful!! I love how you can combine colors that really pop. I rem that first template, I still love everyone of those purses! so cute and I love the the colors on your first one, and you are right, this would be perfect for a gift card. Absolutely gorgeous! Love the little bag. 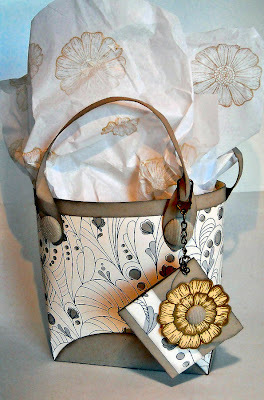 Your tote is SO fun with the bold colors and patterns and that big bloom Lisa! 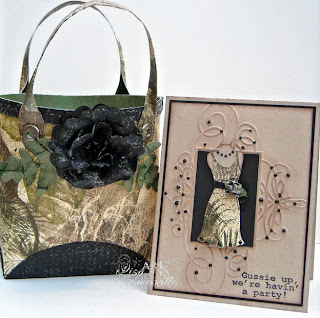 Love all the renditions you have done of this fun tote template! Wow! These are amazing! I had to look REAL close to see if they were really paper. Great project! Love your new version of the tote.Such bright and contemporary designs and colors. Thanks to you, I am now getting addicted to AR's templates. I just love these colors!!! What a lovely tote! This reminds me of my Polish Pottery collection! Enjoy the evening!